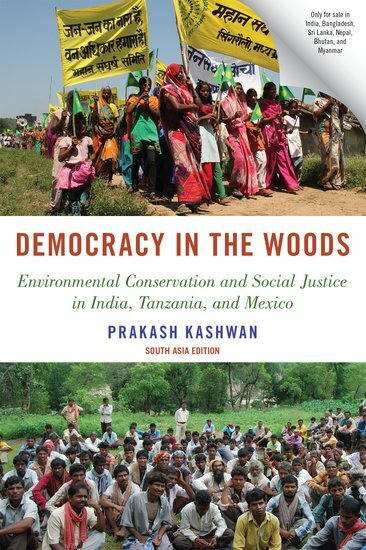 Democracy in the Woods addresses these question by examining land rights conflicts―and the fate of forest-dependent peasants―in the context of the different forest property regimes in India, Tanzania, and Mexico. These three countries are prominent in the scholarship and policy debates about national forest policies and land conflicts associated with international support for nature conservation. This unique comparative study of national forestland regimes challenges the received wisdom that redistributive policies necessarily undermine the goals of environmental protection. It shows instead that the form that national environmental protection efforts take―either inclusive (as in Mexico) or exclusive (as in Tanzania and, for the most part, in India)―depends on whether dominant political parties are compelled to create structures of political intermediation that channel peasant demands for forest and land rights into the policy process. This book offers three different tests of this theory of political origins of forestland regimes. First, it explains why it took the Indian political elites nearly sixty years to introduce meaningful reforms of the colonial-era forestland regimes. Second, it successfully explains the rather counterintuitive local outcomes of the programs for formalization of land rights in India, Tanzania, and Mexico. Third, it provides a coherent explanation of why each of these three countries proposes a significantly different distribution of the benefits of forest-based climate change mitigation programs being developed under the auspices of the United Nations. In its political analysis of the control over and the use of nature, this book opens up new avenues for reflecting on how legacies of the past and international interventions interject into domestic political processes to produce specific configurations of environmental protection and social justice. Democracy in the Woods offers a theoretically rigorous argument about why and in what specific ways politics determine the prospects of a socially just and environmentally secure world.